I absolutely loved this second installment in the Siberian Volkov Pack series. It had everything that made me fall in love with the first one. The story line is great. You can read this as a stand-alone, but it is so much better if you’ve read the first one. Trust me, you don’t want to miss out on any of the books in this series. I am anxiously awaiting the next. Melisande comes to London to grade and date a tapestry for Lady Ashtown. Melisande has a gift, she can always tell the history behind anything she touches. This makes her an expert in the field of authentication of old tapestries. Right after she arrives at London she meets Grigori and for whatever reason she finds herself drawn to the man. They are strangers, yet she finds that she feels like she has known him all her life. He’s the missing part of her life. For Grigori, going to London was a way to help Scotland Yard capture the people responsible for stealing from his pack. He definitely wasn’t expecting to find his mate in the form of Melisande, an American in London on assignment for Lady Ashtown. Yet, here she is, his mate, and because of assistance to Scotland Yard she has become a target for a Russian assassin. Will Meli and Grigori make it out of London alive? Will they have a chance to explore all the avenues of being mates? 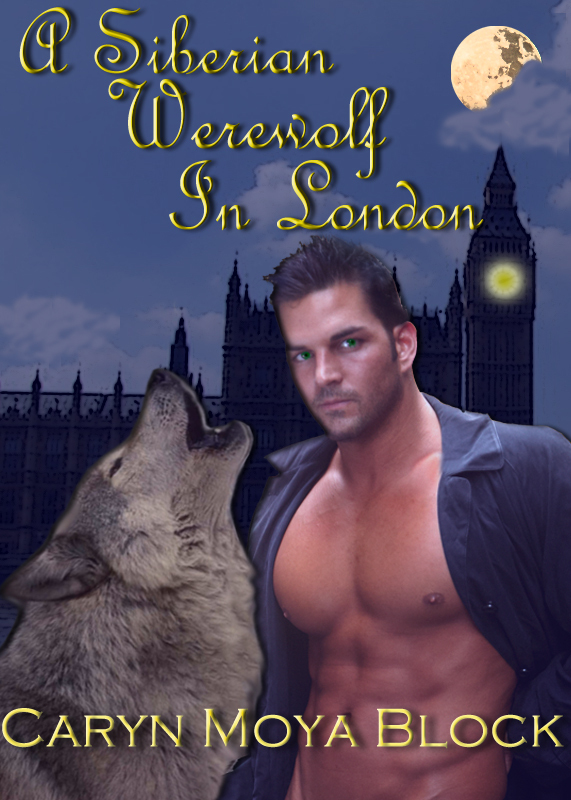 Come along with me on this London adventure in the second installment of the Volkov pack. You are sure to enjoy it. I like the Siberian Werewolf in London as well as the first one, I enjoy reading them a lot, great stories, can’t wait for the third one, Well done Caryn. congrats Caryn… you create light filled stories and its great.